Bannister Downs Dairy Creamery is an award winning building situated in Northcliffe, Western Australia. The ‘grass-to-gate’ dairy prides itself on ethical and sustainable production. Bannister Downs Dairy Creamery is an award winning building situated in Northcliffe, Western Australia. The ‘grass-to-gate’ dairy prides itself on ethical and sustainable production, with the facility being developed based around the idea of voluntary robotic milking for the cows. The facility incorporates an end-to-end dairy with all processing and packaging completed on site. In addition, corporate offices and public facilities are also included to enable visitors to view the process. Encompassing high quality finishes and a distinctive façade, the facility sets a new benchmark for dairy production in Western Australia. 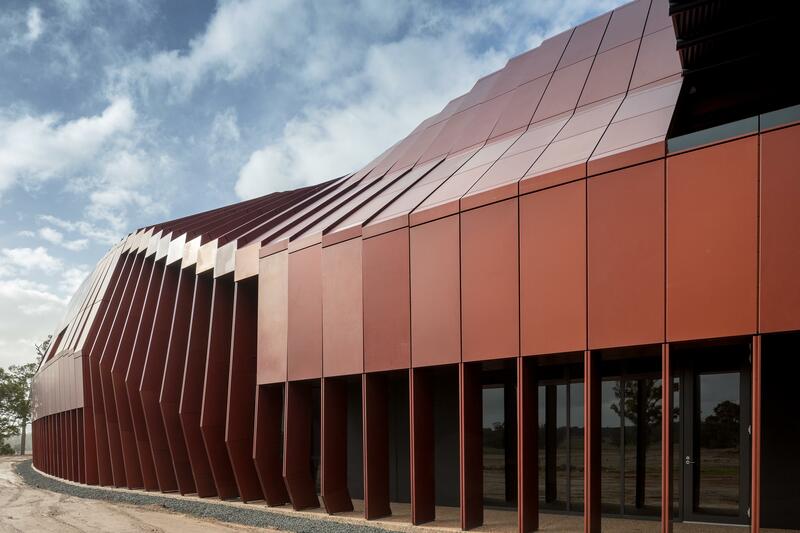 Perkins Builders won the 2018 Master Builders-Bankwest Western Australia Excellence in Construction Awards for the best industrial building for their involvement in the project. Donald Cant Watts Corke worked with the client, contractor and equipment suppliers to complete the design and delivery of the building through Project Management, including evaluation of value engineering opportunities and innovations. "Quote here about something related to the project, could be a few lines long or maybe just two lines long to keep it simple." Thanks for completing our proposal request. We respond to requests immediately, so we’ll get back to you quickly to set up a time to talk.